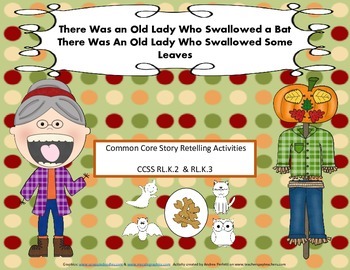 Great follow-up activities for the stories, There Was An Old Lady Who Swallowed A Bat and There Was An Old Lady Who Swallowed Some Leaves.These two activities target story retelling, key details and story sequence. 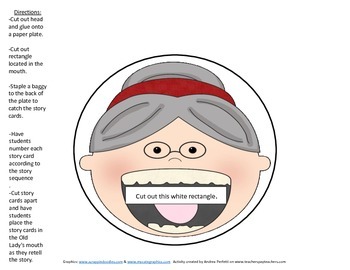 Simply print out the Old Lady's face, cut it out and glue it onto a 9 inch paper plate. Cut out the rectangle in the mouth. Staple a baggy behind the plate to hold the story cards. 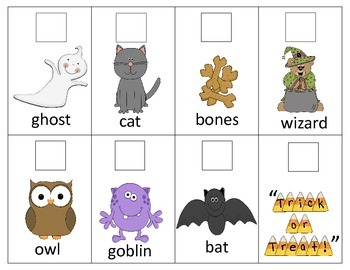 Students number the story cards in sequential order, cut them out, and retell the story by placing each card in the Old Lady's mouth. 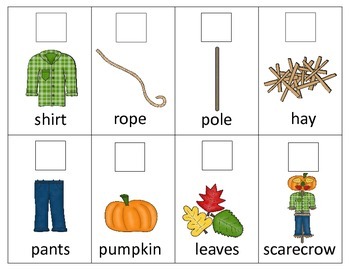 Can be printed in color or black and white.